Did you know that June is Duchenne Awareness Month? There are many forms of Muscular Dystrophy, but Duchenne Muscular Dystrophy or DMD, is very close to our organization. 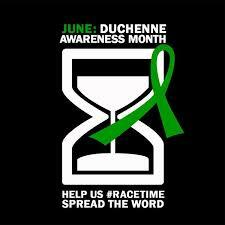 Holding Anthony’s Run during the month of June allows us to share in spreading awareness of the effects of Duchenne. What better way to show your support for Duchenne Awareness Month than to come out and join us for Anthony’s Run. Whether you run, walk, volunteer or become a sponsor, there is a way for you to support the cause. To learn more about DMD, CLICK HERE. And don’t forget to sign up or donate on our homepage.